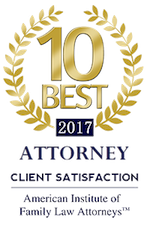 I am a California licensed attorney with experience in family law, consumer law, distressed mortgages, Chapter 7 bankruptcy, guardianships, conservatorships, estate planning and other areas of law that affect today's modern family. I assist all California-based individuals, throughout California (southern, central, northern) by providing limited scope and Unbundled Legal Services: Limited scope services consist of providing consultations and coaching sessions in any of the areas outlined above and listed (in more detail) on this website. Unbundled Legal Services include assisting the individual to prepare legal documents. (Note: if you live in San Francisco or Solano county, I am able to provide full-scope legal services in the areas of Family Law and Chapter 7 bankruptcy). My law office is designed to reflect the 21st century, set up as a virtual online law office. This means I am able, from the comfort of our respective locations, to provide limited-scope, unbundled legal services via phone, internet (via a secure online portal), Skype, email and fax. If you are local to me, I can also make arrangements to meet with you in person. Simple. Fixed, straight forward and custom-tailored to meet your legal and financial needs. For instance, an individual may only need an hour or two of my time or much more time--depending on their unique situation. See the Services Tab for more information. In the last few years, the number of people needing legal assistance has significantly increased, while the number of people who can afford to hire a California family attorney has exponentially decreased. Further, with severe budget cuts to the California court system, the courts are heavily burdened and less able to provide the vital legal services they have provided in the past. As a result, approximately 75% of individuals go to court without legal representation and/or legal assistance--causing unjust legal results to the individual and judicial burden on the court system. My goal is to fill the missing gap--provide legal services to the individual that will help prepare them for the case, at a price they can afford, as well as to reduce the court's burden in having to review disorganized and incomplete files and listen to unprepared and overwhelmed self-represented parties. I invite you to spend some time on this website--learning more About Me, my Practice Areas, the Services I provide and my blog California Family Law and Divorce Blog and/or continue reading this page for an extended explanation about me and this website. This website and my legal practice are centered on one thing - the family. I see myself as a "holistic legal doctor"--looking at all facets of the family dynamic, not just one. In my years of experience, I have learned that the average family has many legal issues to address . . . some easy and some not so easy. It is not uncommon for the average consumer to have contemporaneous and overlapping issues in many areas of law; for instance, questions regarding financial issues (bankruptcy law), questions regarding divorce - that usually include countless sub-questions relating to physical and legal custody, visitation, spousal support, child support and so on (family law), questions regarding their mortgage or distressed property (real-estate law), questions regarding creditor issues, such as wage garnishments, bank levies, student loans (consumer law and bankruptcy), questions regarding neglected grandchildren (probate law--guardianship), questions regarding elderly and sick parents (conservatorships--probate law), questions regarding ways to avoid probate (estate planning--probate law) and so on. What does this look like in practice? A typical consumer calls me informing me she "needs" to file bankruptcy to save her home from foreclosure. She explains that she is in the middle of a divorce (representing herself), that her husband is contesting custody and support, their family home is "underwater" (and her lender is stalling the loan modification process) and that she is receiving "harassing" calls from all her creditors and her lender because she is no longer able to keep up with her credit-card bills or mortgage payments. To make matters worse, the caller admits that she has no money to hire an attorney or the funds to file bankruptcy. She begins crying. The problem I have seen consistently growing since the recession is that people need legal help now more than ever, but can't afford to pay for full legal representation. This is one reason the consumer is going online to find "free help." If you are reading this, you have probably seen a few websites offering to allow the consumer to "post a legal question." The problem with these types of websites is that the attorney answering the question (at least in California) is that he or she is not allowed to give legal advice--only answer the posted question in a general format. So, for instance, when someone asks, "Am I entitled to spousal support?" 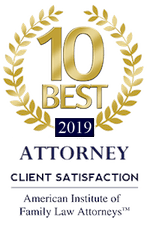 A California family attorney cannot answer this specific question because the attorney is not allowed to give legal advice in this type of format. Instead, an attorney can only explain the general law relating to spousal support--concluding that the inquiring consumer seek legal counsel in his or her area. So where does a financially-struggling consumer go or turn when he or she needs legal help? Sprouting faster than peas in a garden, are websites offering "free help" or self-help products. Remember--nothing is free! Either you pay something down the road, or you pay with costly mistakes! I have recently redesigned my law practice to fill the missing gap, as well as to be a reflection of what I consider to be the "perfect attorney"--an attorney who is able to provide flexibility and options to the average consumer. 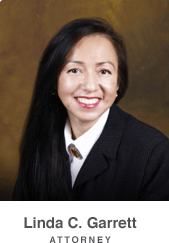 The "traditional part of my practice consists of providing full-scope legal representation in the Bay Area (especially, Solano, San Francisco, Contra Costa, Napa, Alameda, Marin). Utilizing a secure and private online portal (register here)--to communicate with clients via email and to upload/download legal documents. Assistance with preparing legal documents through a secure and private client portal. Review and assistance with preparing online legal forms through a secure and private portal. Register here. Provide a-la-carte or packaged coaching services regarding any and all stages of the family-law dissolution process. Helping you determine if bankruptcy is right for you. Explaining the pros and cons of bankruptcy as they relate to your unique facts and circumstances to determine two things: 1) Is bankruptcy your only option and 2) Will bankruptcy solve your financial problems. Answering general questions regarding California Anti-Deficiency Statutes. Answer general questions regarding the 2007 Mortgage Relief Act and the 2010 California Relief Act--regarding forgiveness of debt in connection with foreclosures and short-sales. Litigation--explaining the legal process of litigation to include, for example, procedural issues, deadline dates, explaining the importance of preparing or responding to discovery. Unlawful Detainers--explaining the legal process and education to the consumer on various laws in order to defend themselves (or minimize the damage) in an unlawful detainer action. Contracts--review and explain terms of basic contracts. Estate Planning, Trusts and Probate--explaining the importance and differences between estate planning, trusts and probate; reviewing and providing supplemental coaching and limited-scope services in connection with estate-planning documents.